Join us for our August Networking Event as we invite Political Candidates in our local area. 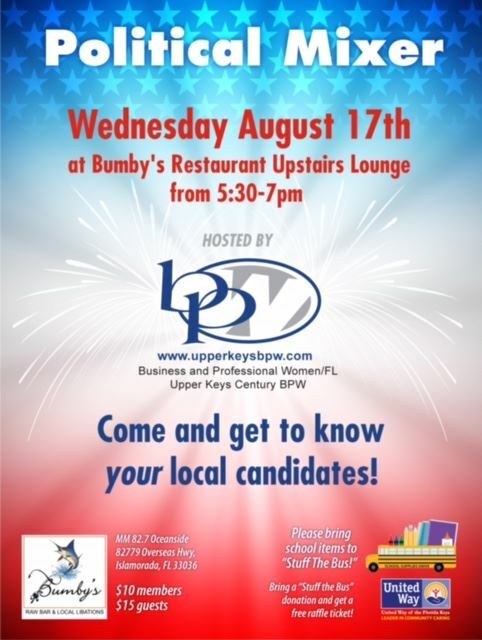 This will be an evening of getting to know your candidates and BPW members! The all new Bumby's has graciously invited us to enjoy their upstairs lounge. This is an event not to be missed! PLEASE BE SURE TO LOG IN BEFORE REGISTERING TO RECEIVE YOUR MEMBER RATE.